Wow, wow, wow. This book left me mind-blowwwwwn. I found it impossible to put down and read it all in one sitting. 5 out of 5 stars! Quick warning: This book is a liar. It crushes souls and severely destroys hearts. There will be tears. And you must be willing to have to scrape your chin off the floor. With a forklift. Hell yes, it’s that incredible. I love that the book encompasses a family tree. I found myself flicking back to it, multiple times. The writing was beautiful and haunting and the need for answers drives you insane. This is not a character-driven novel. The brightness of the story outshines everything. This will be a short review since i urge you to go into this as blind as you can. DON’T LET ANYONE SPOIL YOU. If someone asks me whats the ending, i will lie. From the mixed reviews I’ve seen, you either love or hate this book. There’s no in between. For me, i saw more negative reviews so my expectations were so lowww, and this book was just woah. After i finished it, I immediately re-read it, tabbing the hell out of it. If you follow me on Instagram on ManyReads, you know i nearly tabbed every single amazing sentence. You just won’t everrrrrr see that twist coming. Such a terribly beautiful read. 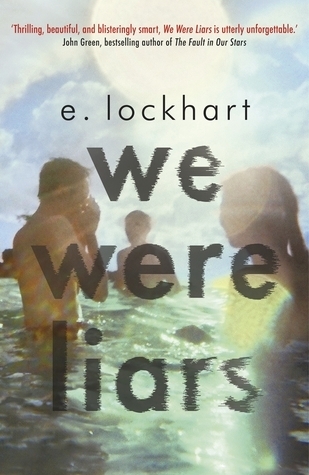 Check out We Were Liars on goodreads! Posted on July 22, 2015 July 22, 2015 by manyreads	This entry was posted in Book Review. Bookmark the permalink. That’s a real shame! Honestly I didn’t have the best connection with the characters so I definitely understand where you’re coming from! I think the reason why the twist impacted me so much was i had my predications of what the ending could hold but they were all so far off!! Oh well 🙂 happy reading! I am one of the ones that did not like this book at all. I’m glad to hear you enjoyed it though! Aww, what was it that you didn’t enjoy?? I was really bored throughout the entire book and wasn’t really a fan of any of the characters.